I am not one for posting photos of food I am about to eat, but this dish is interesting for reasons that transcend the gustatory. 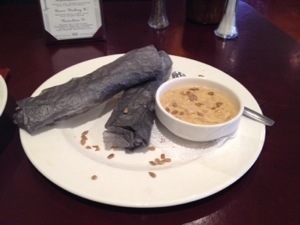 The blue rolls are piiki, or piki, a traditional bread of the Hopi. It is difficult to make and mastering it is a rite of passage for Hopi girls. Traditionally, a girl is taught the skill by her paternal grandmother. 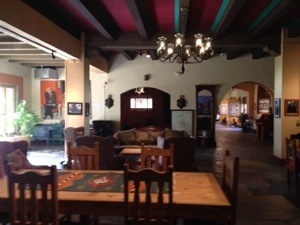 We had piiki at lunch in the dining room of La Posada hotel in Winslow. 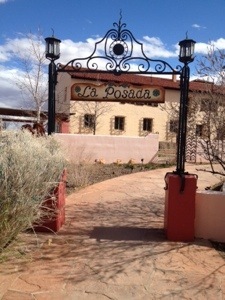 La Posada itself is historically significant. Built in 1929, it is considered “the last of the great railroad hotels.” It was built for the Fred Harvey Company, known for their distinctive “Harvey Girls” waitress outfits still worn by waitresses at La Posada. It was designed by Mary E. J. Colter, a renowned Southwest architect who also designed the main structure at Hermit’s Rest in Grand Canyon National Park. The hotel was almost torn down in the 50’s but was saved and restored to its former glory. It’s a magnificent place, inside as well as out. We ate there on the advice of my friend Lawrence Biemiller. A park ranger also recommended it but warned that it was expensive. She didn’t know the half of it. Robin liked one of the Navajo rugs hanging in the dining room so much that she bought it. I figure it was the most expensive lunch I’ve ever had. Nice! It only took you like four posts to turn into a food blogger. Did you guys stay in Meteor Crater RV Park? We camped in Homolovi State Park, but we did visit Meteor Crater. It’s pretty cool, the crater, that is. 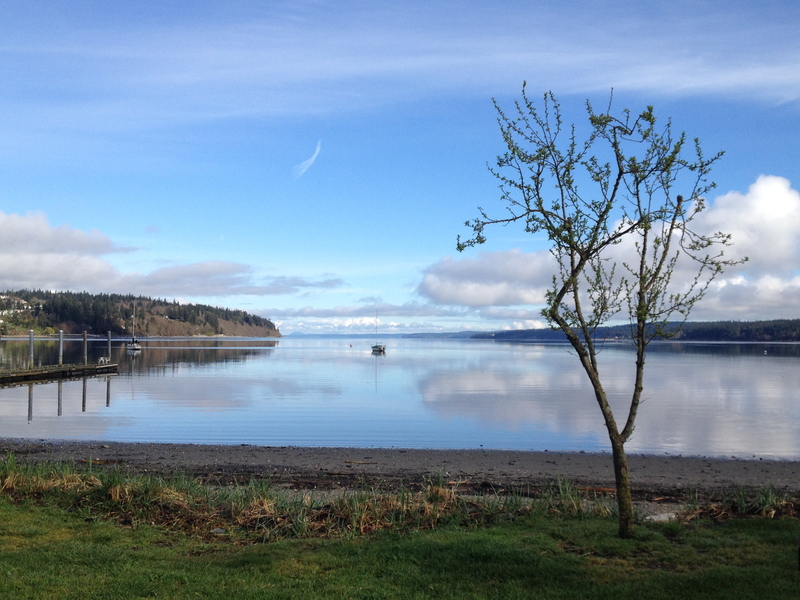 The RV park looked OK.